Wiring Solutions is an Oklahoma-Grown and Oklahoma-Owned Security, Electrical, and Low-Voltage Integrator. Based in South Oklahoma City, we provide an array of services throughout the United States from our offices located in Oklahoma, Missouri, and Texas. The name Wiring Solutions came from an idea that everyone deals with wires on a daily basis. From flipping a light switch to arming a security keypad, wires are involved. Dealing with those wires can create problems… We are THE Solution. We are quite literally the only call to make. Our highly skilled technicians and electricians have met the most demanding challenges head on. With continued training and certification we stand ready to tackle any project with the same determination that has made us one of the largest and most secure “small” businesses in Oklahoma. Wiring Solutions provides a complete range of high quality infrastructure-based services, encompassing Electrical, CCTV, security, voice/data/video cabling, network/PC, AV and server deployment. Our customers enjoy a single source for Electrical, Security, Voice, Video and Data infrastructure installation and service. We strive to be THE leading provider of all types of infrastructure; providing electrical, security, video surveillance, and cabling services to the commercial, residential and governmental market. 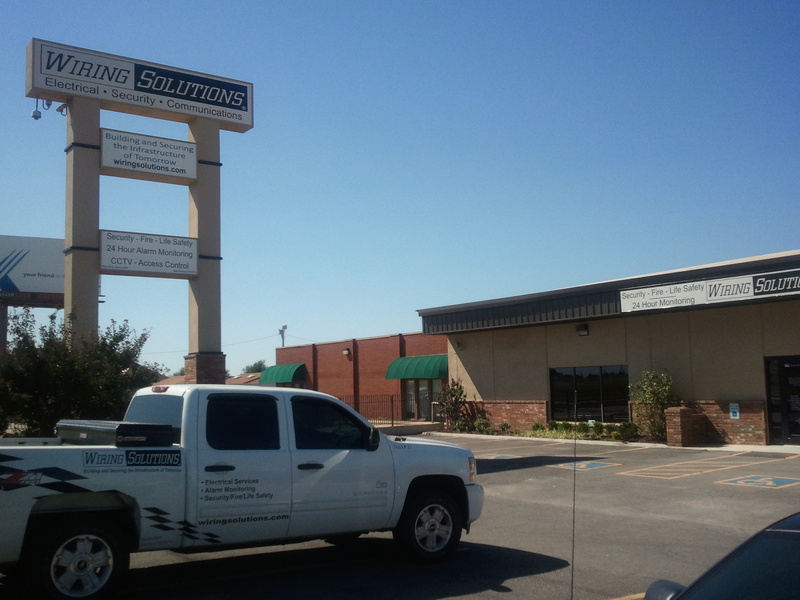 With a full-time staff numbering around 125, Over 40 trucks on the road, and our 14,000 square feet of company-owned corporate offices in Oklahoma City, we are large enough to complete the project – yet small enough to operate with your individual needs in mind. Wiring Solutions is a well funded and cash flow positive private company. Our continued success is directly attributable to our stellar staff of committed individuals. All of our employees are shown the respect they deserve and empowered to make decisions that better themselves and the company. Our focus is on putting the right people in place and giving them the tools they need to succeed. We are a Certified Native-American, Woman-Owned Business, and have been named one of the 50 fastest-growing companies in Oklahoma for seven years (2008, 2009, 2010, 2013, 2014, 2015, 2016) by the Oklahoma City Chamber of Commerce and the Journal Record. July of 2017 will bring our 21st anniversary and we are so proud to achieve such a milestone, but we remain mindful of how fortunate we are to be growing in this current market. Considering the average life span of a small business is measured in mere months, we must remain grounded and aware that it is our loyal customers and employees that keep us moving forward. Thank you for allowing us to serve you! Please see our Company History to learn more about us.